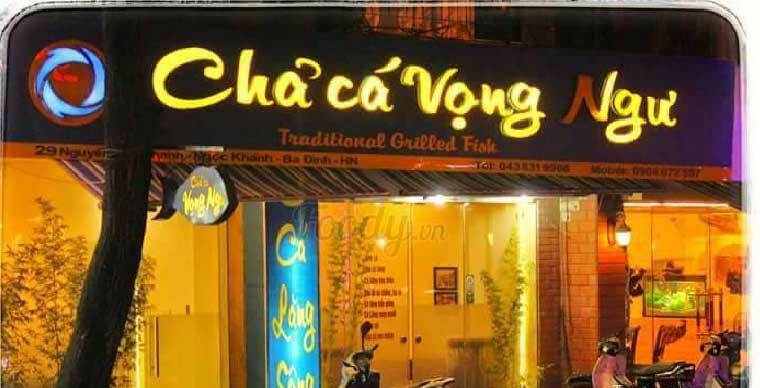 Although appearing quite late in comparison with other Cha Ca restaurants, Cha Ca Vong Ngu 29 Nguyen Chi Thanh does not disappoint its customers at all. 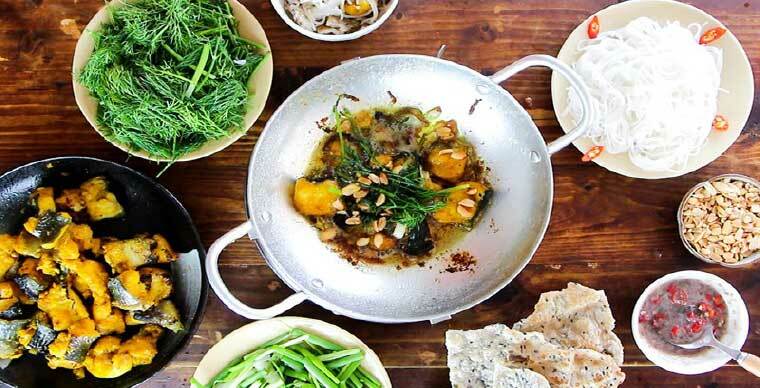 The unique point of Cha Vong Ngu Fish lays in the difference in the way they prepare the fish, especially in the dish Ca lang bop thau (made from hemibagrus fish, a relative of catfish). 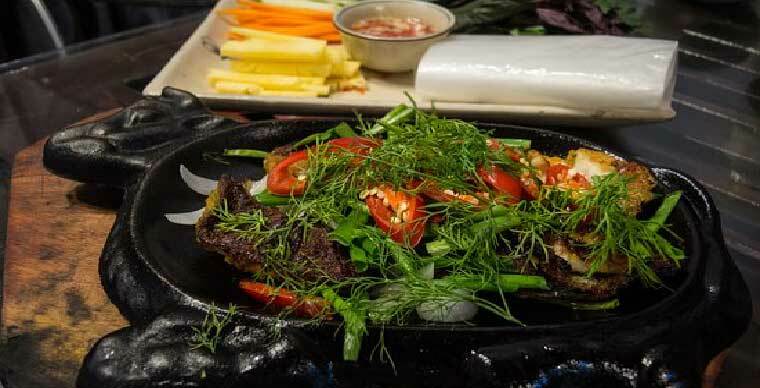 Cha Ca here is made from the best part of hemibagrus fish, mixed with sweet sour sauce and traditional spices to create a special flavor of the dish. 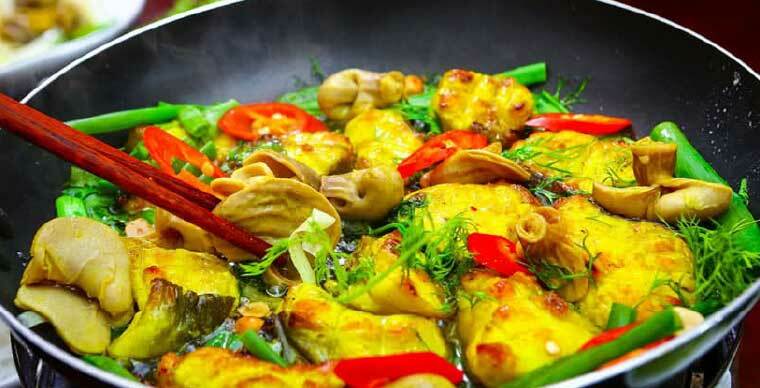 Fish dishes are special "exclusive" of Vong Ngu. 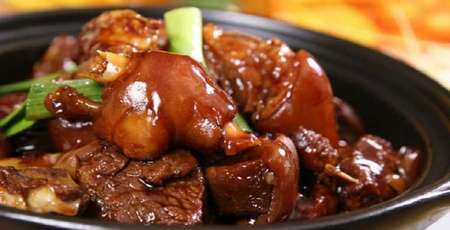 Cha Ca here are made from hemibagrus and sea bass by cutting them in square pieces with the thick skin outside. 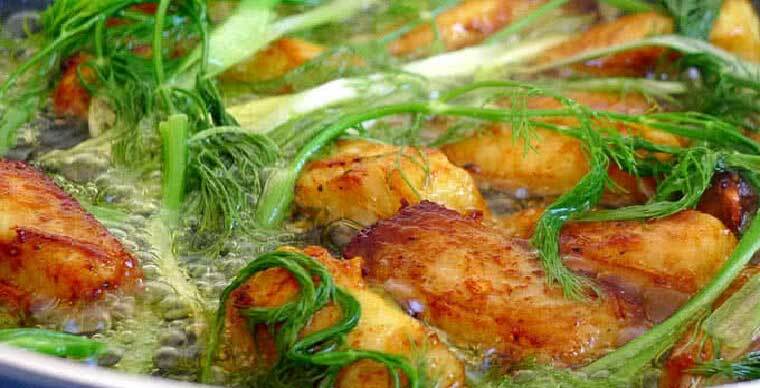 When it’s fried, the color is not dark brown, not pale, the fish is soft but not dry. 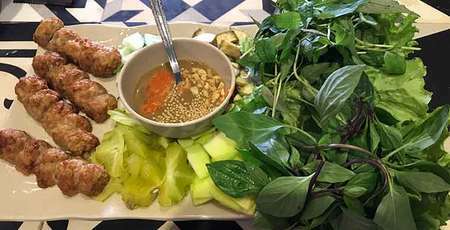 Cha Ca Lao Ngu has a little space but a very cozy feeling. 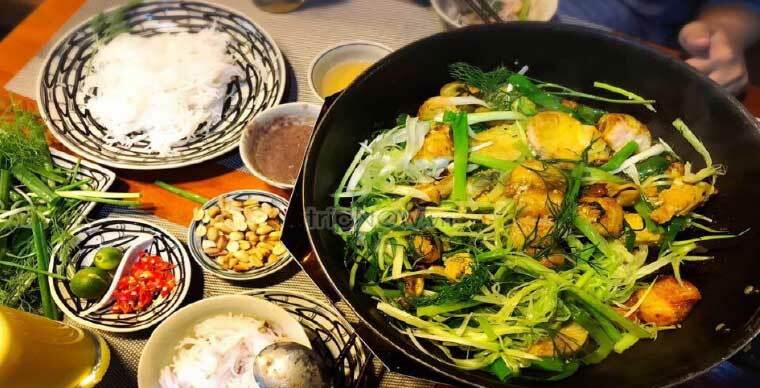 In the cold winter of Hanoi, there is nothing better than sitting by the frying pan of hot Cha Ca, picking a little vermicelli, a piece of fish, some noodles, a little sauce then enjoy the combination of all flavors at once. 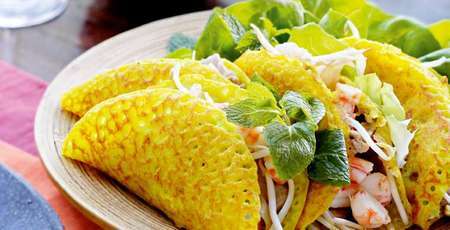 That’s definitely a must-try experience for your time in Hanoi. 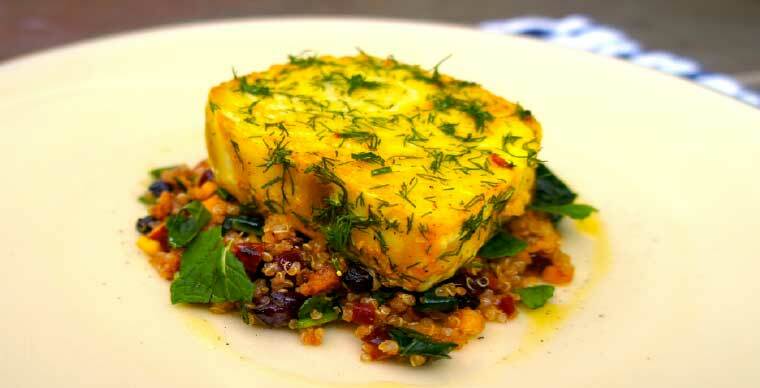 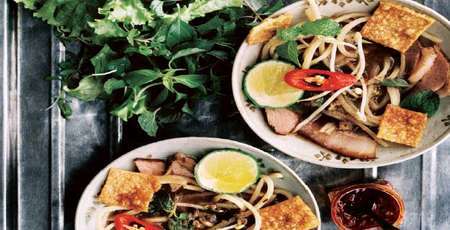 Cha Ca is a famous dish in Hanoi and An Ngu is an unmissable stop for Cha Ca lovers. 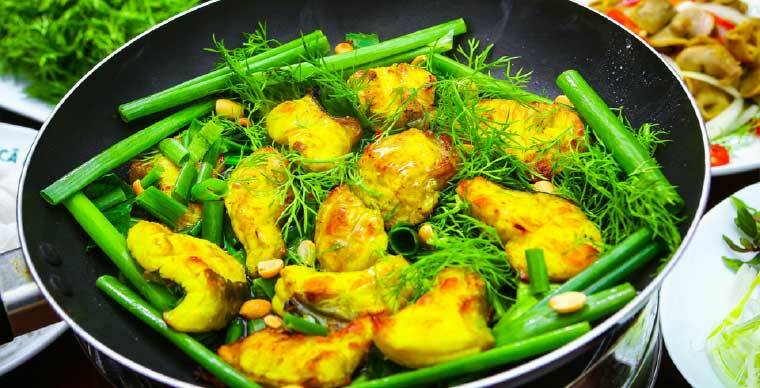 Cha Ca here is very marinated, well-soaked that brings the flavor you can find nowhere else. 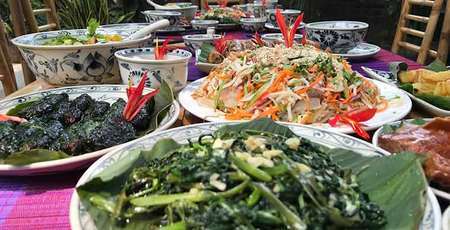 The first impression is that the restaurant is spacious, beautiful, the interior is not too luxury but elegant showing the owner’s thoughtfulness and consideration. 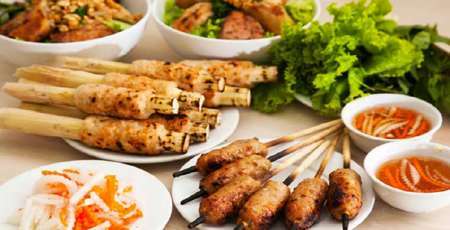 Cha Ca Co Ngu has been established for more than 20 years.